New 5 Bedroom Large Luxury Home on Private Court! Be prepared to have your mind blown! This home is the ream of the rental crop in Fredericton. 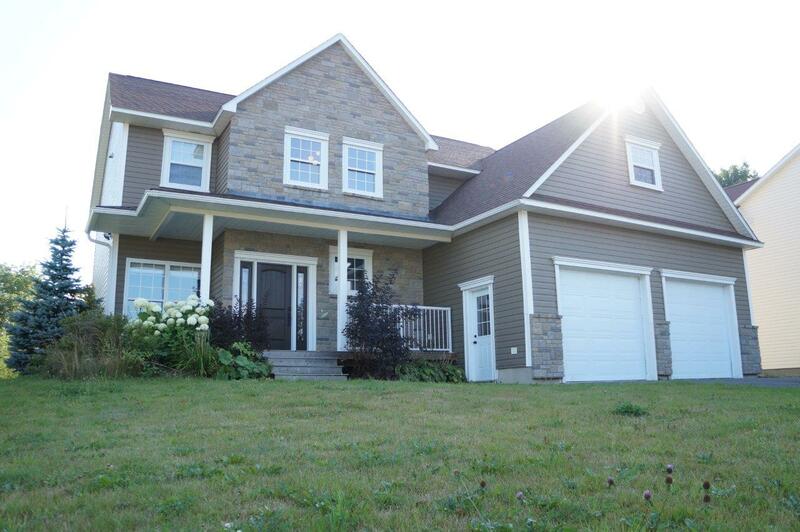 Very recently constructed and barely lived in, this home represents luxury at it’s finest in Fredericton. Premium finishes throughout. Massive kitchen with 10ft island housing an additional sink and ample cupboards. Sitting rooms, office space, huge sunny diningroom, livingroom, mudroom, half bath and extra-large finished double car garage finish this floor. Upstairs is composed of 4 bedrooms and the laundry. The first three bedrooms are grouped together sharing an ample 4 piece bathroom. The second half of this floor is dedicated to pampering the master of the home with a 350 sq ft bedroom, massive walk in closet and ensuite bath with custom tile and glass shower. A Juliette balcony leads off the ensuite providing a sunny and spacious nook to read or relax. The basement is partially finished offering a 5th bedroom and tons of storage. This home is immaculate, spacious and has all the creature comforts.